A wood fence is an investment that should last for decades – but did you know your yard may be full of hazards that can cut its life short? Only by protecting against these fence-destroying elements can homeowners ensure their wood fencing reaches its maximum lifespan. 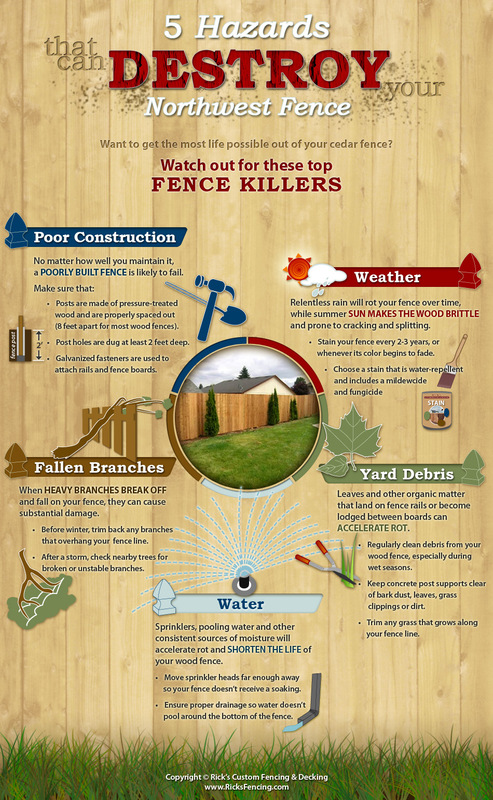 This graphic highlights the top fence killers Northwest homeowners should watch out for. This infographic does a good job of making all of the information easy to read and find. All of the information is centered around a picture of a fence. Each hazard is clearly labeled and has the information underneath of it. The background of the infographic is nice and works well with the topic. The images help to tell the story but it looked as if they were just thrown on the infographic without thought. There was a lot overlapping that to me looks messy and unorganized. I appreciate the use of the image but there was just no consideration of other elements on the page. I also think that the picture in the center of a real fence should be changed to a cartoon image not a real photograph. It sticks out because it is different from the rest of the images and does not work with the theme of the other images. One other thing that stands out to me is the word “destroy” in the title. I think that maybe this is the wrong word to highlight because when I first read it I thought that this infographic was about how to destroy a fence. I think that maybe the words “5 hazards” should be highlighted to show that this is to help prevent destroying a fence. A nice infographic that could have used a little more thought to make it look better and really be the best but it just didn’t get there. The information on the infographic is a lot different than the design. I felt that the information was helpful and gave great advice on what to do to prevent destroying your fence. The check list format for each section was nice so that the reader can be sure to accomplish each list. The information covers everything from construction to maintenance. It gave information that I had not heard before such as making sure leaves and other organic matter are removed from the fence because it can cause the fence to rot faster. I was surprised to see that you should stain your fence every two to three years. I had always just power washed it every year but I can see why you should stain it to make it last longer. The information about how to construct a fence encourages the reader to build their own or at least to check behind those building it for them. I had always wondered why my fence cracked and split and the infographic pointed out that it is because of the sun in the summer. This is why it is important to stain and protect the wood. 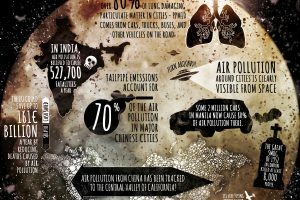 The information on this infographic was really informative and well thought out which is truly be beneficial to the reader. Infographic submission provided by Rick’s Fencing, specializing in residential wood fences.